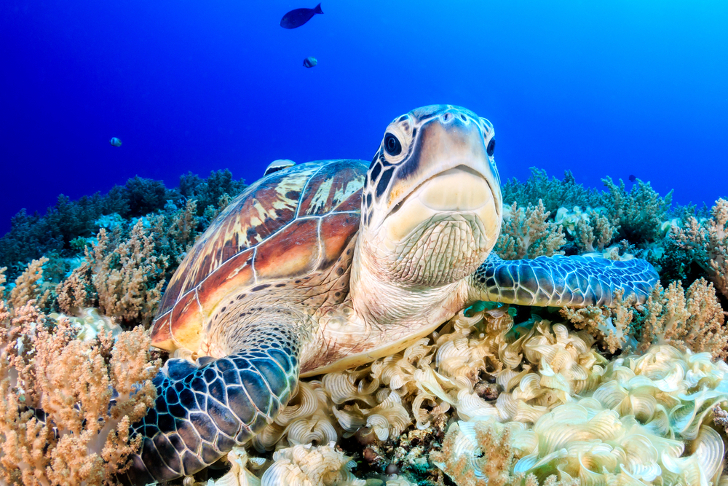 Sea turtles living off the coast of Australia face a growing danger in their own habitat: ocean plastic. 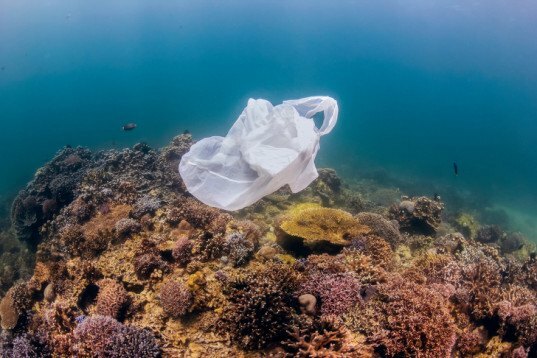 The amount of plastic debris in the waters surrounding Australia is growing rapidly and so are the unprecedented numbers of injuries sustained by sea turtles and other ocean creatures. Veterinarians warn that humans should find ways to control the amount of plastic waste before the effects become irreversible. Ocean plastic is the name for all the plastic junk floating in the ocean, and it’s likely the biggest problem facing sea turtles today. The problem is much bigger than a turtle getting caught up in a plastic bag. Plastics in the ocean become shredded over time into barely visible particles called “microplastics” and these pose the most danger. Animals are consuming microplastics in alarming numbers, and that leads to a variety of internal injuries and illnesses. Marine biologists and veterinarians at the wildlife hospital at the Taronga Zoo in Sydney have been caring for increasing numbers of sea turtles injured by ocean microplastics. While undergoing rehabilitation, the sea turtles live in an enclosed pool, and evidence of the plastics problem is apparent. Caregivers find more plastic in the pool each day, as the turtles excrete shreds of balloons or plastic bags into the water. Marine researchers estimate there are some five trillion pieces of plastic trash floating in the oceans around the globe. The majority of the junk is suspended beneath the surface, so it’s largely unseen in aerial photography or by the naked eye. Because all those plastic bottles, bags, and other non-biodegradable items are hanging out under the water, they pose a serious threat to sea turtles and other creatures who spend the majority of their lives under the surface. The turtles treated at the zoo in Sydney are released back into the wild upon recovery. Obviously, veterinarians cannot capture, treat, and release every turtle, dolphin, whale, and fish that consumes plastic debris. Conservationists and everyday consumers of plastic goods will have to work harder to reduce the amount of waste that ends up in the world’s oceans.